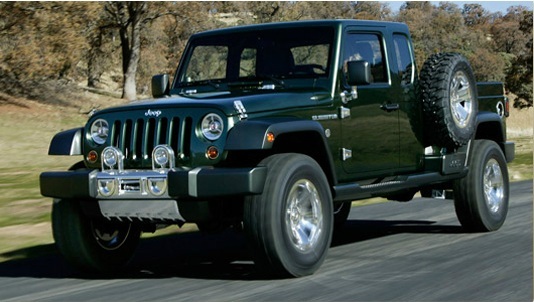 President and CEO of Jeep, Mike Manley, expressed interest in creating a pickup to satisfy North America’s demands. But, that was two years ago at the Detroit Auto Show. Way back in ‘? ?92 the Comanche was around, but ever since the Jeep pickup was absent from the lineup, there’? ?s been some serious demand from consumers. After Jeep came off one of its best years in brand history, they were willing to expand their lineup. They already introduced us to the Renegade this year. Debate has surrounded the new Jeep, but if they bring us a much-desired pickup, fans are sure to be pleased. Whether this new truck will be compact or full-size, is unknown. It could resemble the JK-8 pickup truck conversion kit for Wranglers. For now, we can only guess at what it will be like, but given Jeep’s current status, we may see the return of a Jeep pickup in the coming years.